Get started with web hosting for as little as $0.99/mo on Economy Plan. Receive a free domain with annual subscription. Unlimited websites, unmetered bandwidth, and a free domain with annual subscription. Starts at $6.99/mo. For as little as $12.99/mo get unlimited websites, 2x processing power, unmetered bandwidth and storage. Free domain with annual subscription. Protect User Data and Secure one website with SSL for only $60/yr. Protect user data and secure as many as five websites for $175.99/yr. Protect user data and secure one website and all subdomains for $355.99/yr. Save on hosting, domains, Managed WordPress and more. For new products only, cannot be combined with other promotions. Get a domain for $0.99! Enter code at checkout. One per customer. 12 months hosting on Economy Plan for $0.99/mo. Enter code at checkout. 12 months Managed WordPress Basic plan for $1.49/mo. Enter code at checkout. Get 30% off on new, non-sale items. Does not combine with other promotions. GoDaddy is an internet domain registrar and web hosting company. The company was founded back in 1997 under the name Jomax technologies. It was founded by Bob Parsons in Baltimore in the USA. GoDaddy gained massive popularity thanks to their Superbowl ads roughly a decade ago. Bob Parsons sold his previously owned company for 65 million dollars before founding GoDaddy. He recognized that there was an opportunity in web hosting and he went ahead and grabbed that opportunity. GoDaddy is one of the largest domain hosting companies in the world. In 2016, they made over 2.2 billion dollars in revenue and they employ over 6000 employees. They help you build a better website. They help you find a domain name. They give you access to your website via cloud access allowing you to work from anywhere. They help you in keeping your data safe and in boosting your Google ranking. They offer world class web hosting services. They will speed up and secure your WordPress site. Everybody loves coupon codes. They offer up really timely discounts when you are low on cash. Open the GoDaddy web page and choose the product you wish to purchase and click continue to cart. After you proceed, the web page will prompt you to add further information such as the number of years of your subscription. After that, scroll to the bottom of the page where you will see the option to enter a promo code. Click on the Promo Code link and type in your promo code.Your promo code can either fail or succeed. Your promo code will fail if GoDaddy calculates and finds that you will end up using more money if it applies your promo code. If the code is successful, you will receive a message from GoDaddy that your code has been accepted. You have the option to cancel the code before you finalize your purchase. Facebook: Here they post stories of various people that have had success while using GoDaddy. They encourage comments and they usually reply fast to those comments. You can also choose to message them directly via direct message. Twitter: They also post success stories on their Twitter platform. In addition, GoDaddy gives useful business tips and advice on Twitter. You can comment on their posts to get useful replies or you can message them directly through direct message. Google+: Visiting GoDaddy on Google+ is a great way to get inspiration for your own business. They showcase various people that have achieved success and recognition through GoDaddy. In addition, they post tips on how to make your website better using their services. The admin team replies to your comments very fast. Their Google+ handle is “GoDaddy”. Youtube: GoDaddy has a channel on youtube that posts ideas on that you can draw from to be successful. The posts there are meant to give you encouragement and ideas on how to be successful. You can also call GoDaddy directly on their 24-hour customer care service. Their number is (020 7084 1810). 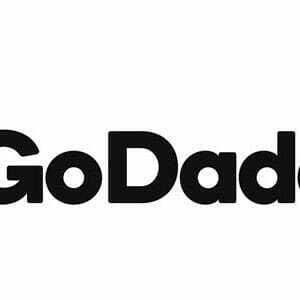 Like all successful companies, GoDaddy has a refund policy. You have to request a refund within a specific timeframe. For an annual plan, you have to request a refund within 30 days of your purchase. For a monthly plan, you have to request a refund within 48 hours of your purchase. A refund will only be offered if you contact GoDaddy’s telephone service within the timeframe stipulated above. Ad Spend: This also includes search marketing fees. The policy is that there is no refund for such fees on the current month. However, pre-paid fees for future months are refundable. Assisted Service: Such fees can only be refunded after the first three months. Auction Featured Listings: Fees are refundable within 24 hours if no bids have been placed. Auction Additional Categories: Fees are refundable within 48 hours if no bids have been placed.